The Minix Neo X7 is a Android TV from Minix brand that brings some pretty good specifications with which we can convert our TV into a powerful smart tv without much complication. 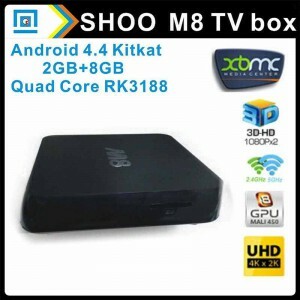 Its 2 GB of RAM and 4-core processor RK3188 makes it a perfect option for all who are looking for an Android TV. 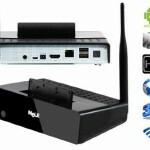 If you are already decided to buy a Minix Neo X7 follow our link. 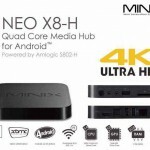 In this analysis we will see the main features of Minix Neo X7 so you can decide what Android TV to buy for your living. As you can see the Minix Neo X7 brings some pretty good specifications with which we will enjoy of an Android system on our TV screen. The Minix Neo X7 brings many features to enjoy movies, games, series, etc, in a simple way on our TV. Then we count you its main features. The Minix Neo X7 brings Android 4.2.2 version, a version with 2GB of RAM will make the whole system go so smooth and without problems, in addition to putting on all applications for Android. With the Minix Neo X7 we can watch movies, series, etc, at a resolution of up to 1080p fluidly. Note that the resolution is 720p natively and rescaled to 1080p, but thanks to the great community behind this product, you can putting on a customized ROM to get those natively 1080p . In relevant information you will find various links and other information to carry out this change of ROM. The Minix Neo X7 brings a RK3188 processor to 1.6GHz that will make all our applications load without any problem fluently and without skips. The Minix Neo 7 brings a Mali-400 GPU 4 core for 2D / 3D graphics and can use almost all games without notice much slowdown and making the whole system more fluid and smooth. 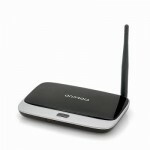 The Minix Neo X7 includes Ethernet port if you want to connect to a LAN cable to your router. It also includes 3 USB, Bluetooth 4.0, micro USB ports, headphone and microphone input, SD card reader and even an infrared port to connect remote controls. 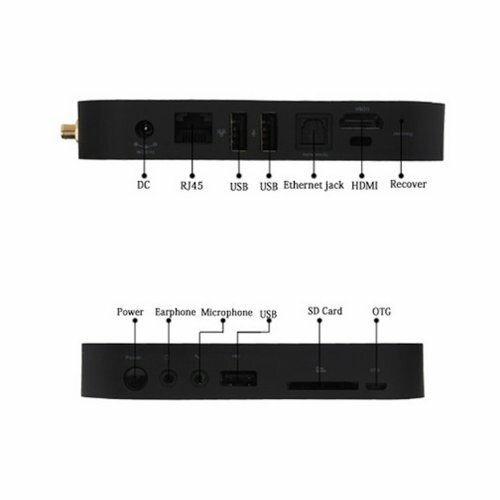 It also has Wi-Fi 802.11 dual-band, to 2.4GHz and 5GHz, so if you have a dual-band router you can maximize your connection without interferences. The Minix Neo X7 comes with 2Gb of RAM and 16GB of internal memory, so you will not have problems when loading applications. Still, if you need more space for your movies or applications, you can always extend it with stick USB, hard drives or memory cards. The Minix Neo X7 brings an interface designed for remote control with which you can control almost every aspect of your Android TV from the remote control. It also comes with standard Android interface but with this interface you will need another type of remote control or a mouse to make the most. The Minix Neo X7 allows us to share all kinds of media with your mobile phone, PC, or any device with Android. Thanks to DLNA technology you can share files without problems. It also offers an application called WiffiDisplay will allow us to use the Miracast to make mirroring with the screen of another device and also has AirPlay with the application AirPIN. The Minix Neo X7 is a Box TV will turn any TV with HDMI input on a powerful device Android, with which we can watch movies, series and much more than we had to tell you. 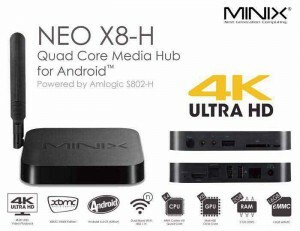 In Minix Neo X7 you can watch movies either using Android apps to watch online movies, or passing files from your computer, mobile, tablet or any other device. 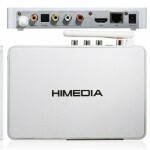 Besides you can not only watch movies, but series, Youtube and in general, all types of multimedia content. 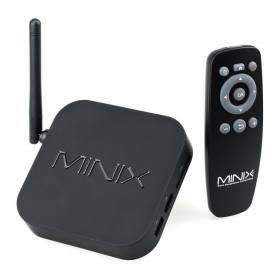 The Minix Neo X7 brings endless possibilities to share our multimedia files with our TV from DLNA support, Miracast and Airplay, with which we can share files of all kinds with all our devices, whether phones, tablets, computers or other Android TV, turning your TV into a media center for the whole house. With the Minix Neo X7 you can install any application that is in Google Play. From Facebook to see the big screen, even the most common applications like Whatsapp, Youtube or Twitter. All that you have a Smartphone you will know what we mean. You only have to go to Google Play and see the number of things that you can do with your Minix. With the Minix Neo X7 you can use your TV for video conferencing with just plug a webcam into any USB port and using an application like Skype or similar without no problem. With the Minix Neo X7 you can use the control PS3, PS4, Xbox or Wii to play the latest games with a exceptional fluidity. There are even applications that you can “map” all buttons on your controller to your liking for playing your favorite games. If you are looking for an Android TV to a price quite reasonable with good RAM can support all kinds of multimedia content, Minix Neo X7 is perfect for you. For almost £70 will have in your living room a media center where you can play games and watch movies, series, etc, and even use Google Play applications smoothly, thus having a endless options within your reach. In Internet can find many resources to take full advantage of your Minix Neo 7 here we will be adding applications, plugins or ROMs we consider most important. To make multimedia content to 1080p resolutions natively will need a custom ROM that can be found here and other ROMs to choose the best for you. 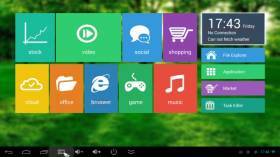 Here you can see the official forum community Minix Neo X7 to have your device to the latest. Here you can see the official website of Minix, where they will put the latest firmware and other information for your Minix Neo X7. 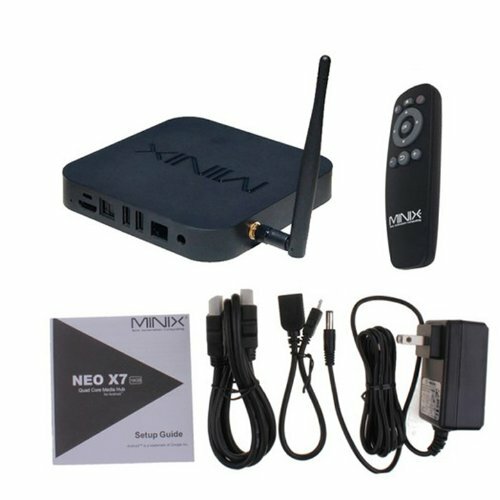 Where to buy a Minix Neo X7? If you want to buy a Minix Neo X7, the best place to buy is here, where they will provide excellent customer service and will not have no problem with your purchase.